I watched the strange sights go by. A man with a big green turban riding a camel with exquisite grace. 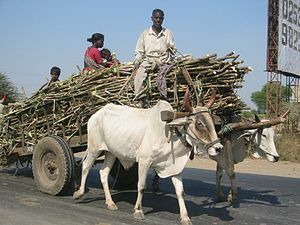 A bullock cart loaded with what looked like sugar cane moving in a slow lugubrious way amidst the noisy horn crazy traffic. Everyone honked once per second it seemed. My mind was numb with travel the sleepless nights arguing with Tom, my husband. The final straw when he hit me and I called the police. I felt so safe alone in the apartment without his overbearing presence. Then I realized the legal wrangle he would get me into if I pressed charges. I was sick of him. I remembered the meditation guru I had met in the Toronto convention centre. I called up my travel agent filled an air bag with as many clothes as I could. Took my camera and here I was in India twenty four hours later away from my rotten Canadian romance. The taxi was a mythical chariot and I was sailing in a half dream across unknown roads. I saw strange billboards of giant lipped Hindi movie heroes. This I knew was Gurgaon. A relatively new suburb of the capital city New Delhi.